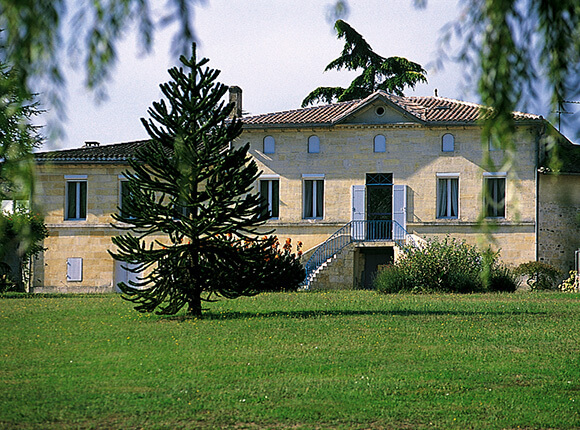 The history of Château Moulinet is narrowly linked to the history of Pomerol, because it is one of the oldest estates in the area and also one of the largest. Located on the route used by pilgrims on their way to Saint James of Compostela, the estate was a stopping place for Saint John of Jerusalem knights. Amongst several medieval relics, a stone bearing the mark of the Cross of Malta can be seen in the park of the chateau. The estate belonged to several important Libourne families before being bought from the heirs of Mr. de Seguin by Armand Moueix in 1971. For 3 years now, the property has undergone unprecedented refurbishment both outside in the vines and inside in the cellars, including of course the vathouse. Here, the latest innovations blend with ancestral techniques, such as manual harvesting. Today, Nathalie and Marie-José Moueix have made Château Moulinet into one of the references of the great Pomerol wines.